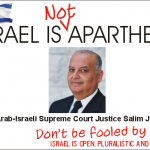 The following is our first attempt at developing an anti-BDS campaign. 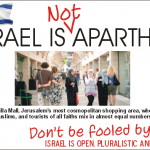 Please suggest your ideas for additional posts and ways we can improve the messaging to better serve your community. 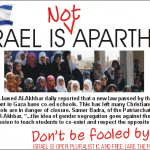 With your help we can create an effective anti-BDS kit that college students can use to expose the libel that Israel is an Apartheid State that oppresses its minorities. 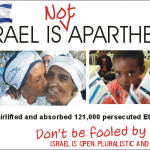 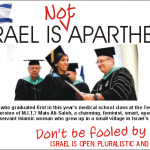 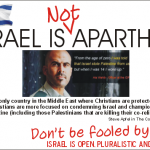 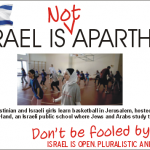 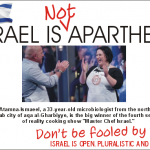 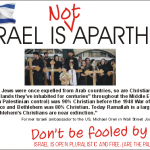 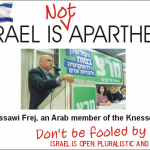 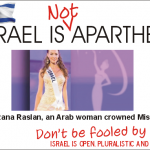 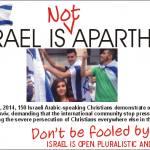 1) Share the facts that prove Israel is an open, democratic and pluralistic society. 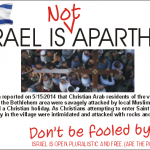 2) Share information that highlights the mistreatment of the Christian minority in Palestinian controlled territory. 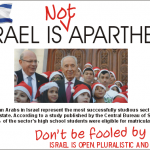 Posting Instructions: Right-click on the image you would like to share and save it to your computer. 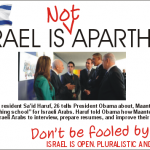 Then post the individual image on Twitter, Facebook, or Instagram.